Professional freelance drummer Dave Collingwood – booking now for tours and studio work worldwide. 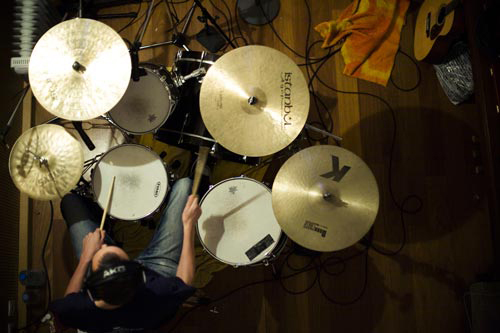 Dave Collingwood recording with Yann Tiersen in Paris, 2009. Please send booking or general enquiries using the form below. I’ll reply within 1 working day. Dave Collingwood is a drummer with 20 years' experience of playing live and in studios around the world.